Columbia River PUD is a People’s Utility District, which is a type of special district, similar to a school district or a fire district. The PUD is locally owned and operated. Voters within the PUD’s service territory select a five-member Board of Directors that sets rates and policies for the utility. 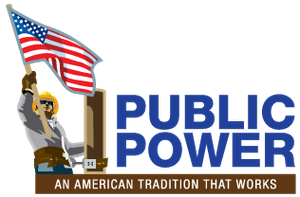 As a community-owned utility, the PUD is part of a public power family that also includes electric cooperatives and municipal utilities. Here are some of the differences between community-owned and investor-owned utilities. Not For Profit: Community-owned utilities are not-for-profit entities that exist to provide essential services like electricity and water to their customers. Cost-Based Rates: Most community-owned utilities, including the PUD, charge cost-based rates. They only raise rates when necessary to provide safe and reliable service for customers. Local Control: Community-owned utilities are governed by locally elected boards or commissions. Boards are elected by constituents to set rates and policies. We call this “local control,” and it gives customers a voice in how their utility operates. For Profit: Investor-owned utilities are for-profit corporations that make profits for shareholders by providing essential services such as water or electricity. Profit-Based Rates: Investor-owned utilities build a profit margin for shareholders into their rates. This is one reason that the rates charged by investor-owned utilities are often higher. Shareholder and PUC Control:Investor-owned utilities are governed by private boards of directors. State utility commissions (PUCs) set their rates. Directors are elected by the shareholders. The Northwest has about 120 publicly owned utilities, serving about half of the population. There are three types of public power utilities: municipal systems, which are governed by the cities they serve; cooperatives, which are private, non-profit corporations governed by their members; and PUDs, special districts formed by a vote of the people they serve. 9 of the 10 lowest cost utilities in Oregon are public utilities. In Oregon, PUDs are governed by a five-member Board of Directors that is elected by the voters in the PUD’s service area. The Board of Directors sets rates based upon the cost of providing service. The PUD’s power supply is generally provided by BPA at rates that are less than any of Oregon’s private utility rates. The PUD passes these lower rates on to customers. The Board is also responsible for hiring professional managers and staff to operate the utility. The Board of Directors is elected to represent the local community, and holds regular meetings which are open to the public. PUD customers can also vote to authorize debt (bond sales) to finance the purchase or modification of the district’s facilities.